The airline Qatar Airways has started flying three times a week from Paris to Perth, with a stop in Doha. The city has become the second entry point for Qatar Airways in Australia after Melbourne. Operated on a Boeing 777, passengers will enjoy a very high level of comfort with a refined restaurant service and access to over 1000 video and audio on demand entertainment options, on individual screens. Flights go on Mondays, Wednesdays and Fridays) and return on Tuesdays, Thursdays and Saturdays. If you are travelling on Air France this summer with a child under 12, you can benefit from the Tribu offer, without having to prove a relationship or buying a card. The offer enables you to reserve single or round-trip tickets that are modifiable without charge and also reimbursable under certain conditions. In addition, children receive a 15% discount on the Tribu tarrif and can fly for free (ticket and taxes) if they are less than 2 years of age (and when travelling on the lap of the accompanying person). 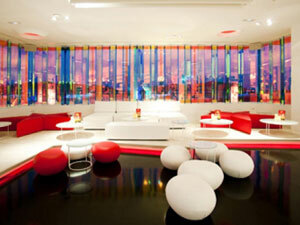 The new S4 lounge at Paris-Charles de Gaulle is undoubtedly one of the finest in the world. With no less than 6000 m2 of bars, shops and restaurants, a department store dedicated to fragrances and cosmetics, lifestyle and French cuisine, a Ladurée restaurant and water walls designed by Taro Suzuki, waiting for a flight has become a total pleasure. Check it out as soon as possible. 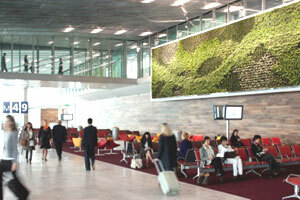 Brandimage and Noé Duchaufour-Lawrance have designed the new Air France business lounge at Roissy Charles de Gaulle. Imagined as a smooth ride, composed of different islands of spaces that invite you to explore them as a prelude to your trip, it was inspired by a park. The architectural concept was developed around a contemporary reinterpretation of plant vocabulary. Forms, materials and colours evoke nature and the organic universe. Covering an area of over 3000m2, this salon is situated in the new S4 boarding terminal at Paris-Charles de Gaulle. David and Catherine Guetta have enjoyed the privilege of inaugurating the first dance floor in an airport in the world. The couple launched this novel concept in Ibiza. A rendezvous point for travellers who visit the island, this lounge club enables them to experience the spirit of Ibiza nights from the moment they arrive, right up until they take their return flight home. On the program, DJ sessions, cocktails, and a sushi and snack bar with stunning views of the runway and sea. Little brother of Bazarchic.com, the brand new Mytravelchic.com provides chic and fashionable travel at a wallet-friendly price. As a bonus, thanks to Easy Chic casualty insurance, if you feel like cancelling your great escape, you will be reimbursed 100% of the value of your trip without any justification or reason, up to 7 days before departure. In this event, the full amount of the trip will be paid back in within 72 hours. 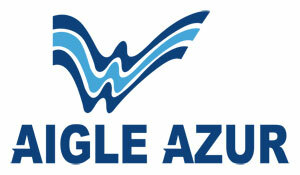 French airline Aigle Azur has been flying to Moscow since late July. The destination is provided in partnership with Transaero Airlines, the second Russian airline. The line is operated from Paris Orly Sud bound for Vnukovo, the nearest international airport to the centre of Moscow (30 minutes). Eleven flights per week are confirmed, both regular and two-class. Until August 31, the flights are on sale for 988 euros AR for business class and 360 euros AR for economy. 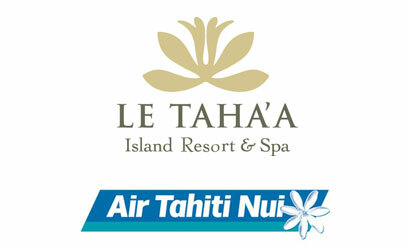 To celebrate ten years of its Paris-Los Angeles-Papeete route, Air Tahiti Nui is offering inter-island Air Tahiti flights in Polynesia for a client saving of almost 400 euros. Moreover, to make the most of the charms of the islands, the Tahaa Island Resort and Spa, the only 5 star Relais & Chateaux hotel in Polynesia, is offering a 50% discount on stays (7 nights) from September 2012 to March 2013.